The Bavaria Cruiser 41S, the successor of the Bavaria Cruiser 40S, is the right yacht to put you out there with the front-runners at any race. „Lighter – Faster – More Performance“ is the motto of our newbies in Croatia. Starting in 2017, from Biograd, we offer 21 identical Bavaria Cruiser 41S for charter. The Bavaria Cruiser 41S, the successor of the Bavaria Cruiser 40S, is the right yacht to put you out there with the front-runners at any race. 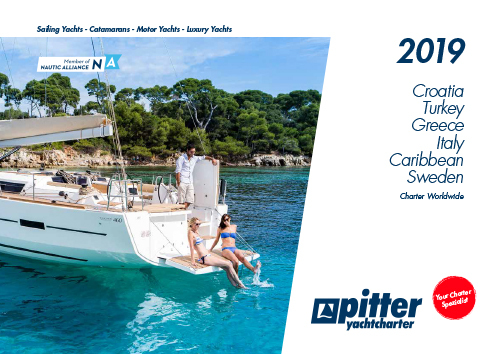 The standard integrated German-Cupper-main sheet system with the ball bearing cockpit traveller and adjustable jib sheet leads make this vessel perfect for the crew to take part in sporty sailing with great trimming possibilities. The Cruiser 41S features a spinnaker and a carbon spinnaker boom. In comparison to the Bavaria Cruiser 40S, the rudder system has been ameliorated on the Bavaria Cruiser 41S. The Jefa rudder system makes it easy and enjoyable to steer. The new vacuum infusion production process makes the yacht lighter and therefore faster. Our one-design fleets are ideal for regattas, club sailing and for sporty flotillas. Sailing in one-design gives all participants the same chances. A fair competition is guaranteed. Not the construction, material, equipment or budget, but the skills of the teams are what it takes to win.